Promo codes, also known as a coupon codes, voucher codes, discount codes or offer codes, are a popular form of sales incentive offered by online retailers. They are used as a tool to try and boost conversion but can be a little bit controversial. Some retailers think they are an important way to close sales but others think they do little more than eat into margins. Others believe that by offering promo code input boxes within your cart, some customers will carry out a Google search for your codes and may end up on the site of a competitor. Worse still, you may even be conditioning your customers never to pay full price again. So, just what is the truth about promo codes? Do they work or are they just a way of creating more problems for yourself? From our research of the data SessionCam collects, the bottom line is that sites with a tangible promo code in the cart page that you can copy and paste have on average a drop off rate that is 4.5% lower than those without. So, are there ways of making promo codes work for you? First, however, let’s take a closer look at what they are. Promo codes are discounts that can either be a percentage or specific amount. They can also provide customers with free shipping, gift-wrapping or other benefits. Essentially, this is a marketing strategy to give your customers another reason to make a purchase. It’s also often used for specific purposes, such as holiday marketing. When you issue promotional codes, you are providing customers with an incentive to buy. This means that customers get the products they want for a lower price, and your store makes another sale. One of the most useful features is that they work with both new and returning customers. The psychological effect of getting a coupon can be just the incentive some customers need to complete a purchase. And that’s why they make sense as a funnel tool. These are codes that anyone can see and use. They are useful for bringing in new customers and making them familiar with your brand, as well as encouraging previous shoppers to come back for another visit. Private codes are used to target a specific group of people. They are often provided to loyal customers for special opportunities, but are also are a good way to bring in new customers in the shape of introductory offers. These are codes that are targeted at a single user and can only be used once or over a specific time period. For example, a restricted code could be used as an apology for a cancelled order or as a thank you for making a certain number of purchases. In our experience, it’s usually best to offer a mix of all three types of promotional codes, giving customers a number of reasons to make purchases. Don’t make your promo code box open to all visitors by default. Target your selling. For example, you can offer the promo code entry field only for users who have arrived by an affiliate link. That way you are only giving the benefits to customers who are responding to your advertising campaigns. These kinds of visitors can be identified by a URL parameter stored in their session. 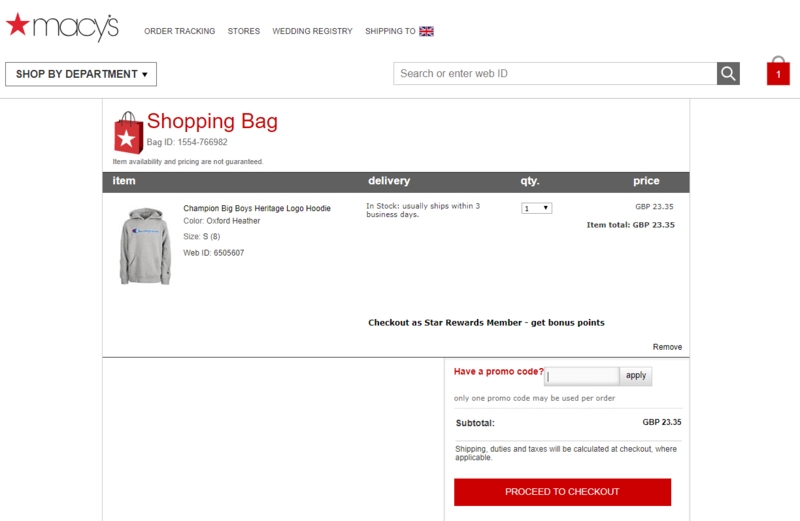 The promo entry field either appears in the checkout or the discount is applied automatically. Send your private promo codes to known individuals who you want to target with specific offers. Ensure that codes can’t be shared and you can control who does and who doesn’t use your promo codes. If you do open the promo code box to all visitors, underneath include a click box saying something along the lines of ‘How do I get promo codes?’ You then get to build email info for anyone interested in your promo codes, and you can reward those willing to make the effort with future offers. 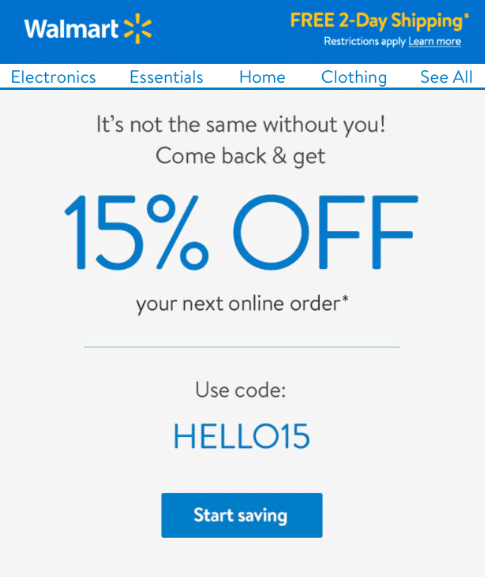 In order to reduce the number of shoppers using your promo codes, call them something slightly different. Terms like voucher codes, offer codes or rebate codes are less searched for and therefore less obvious than promo codes. You can make people work a little harder to find their voucher or promo code area. Rather than having it in a visible box, you can conceal it behind a button or minimise the usage in other ways. You can add in a ‘checkout with promo code button’ separately. You can also hide the promo code box in a number of other ways, including keeping it in an expanding menu or using smaller fonts. From our experience and data, there is no doubt that the use of promo codes can impact customer experience and generate a significant increase in the drop off rate in your website’s cart. However you can mitigate the risk of impacting conversation by using promo codes with well considered targeting and good UI/UX design.